Right from its launch in India, the Redmi Note 3 is available via flash sales at Rs. 9,999. Now in the latest move, Xiaomi has announced that the device will be up for purchase via open sale, without the need for registration on April 27. The company took to Twitter for revealing the big news. 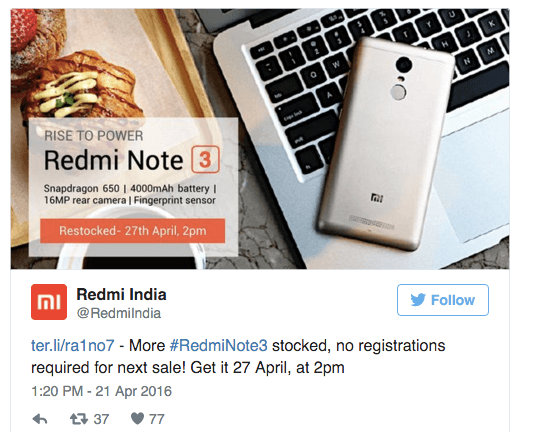 The tweet also says that Xiaomi will be putting up more units of the Redmi Note 3 for sale. To recap, the Redmi Note 3 features a 5.5-inch full HD screen, and is powered by a Hexa-Core Snapdragon 650 processor. It runs Android 5.1 Lollipop with MIUI 7 skin top. 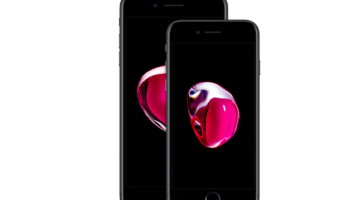 The device sports a 16-megapixel primary camera with LED flash and PDAF, along with a 5-megapixel front-facing camera. It is a metal clad smartphone with hybrid dual SIM, 4G LTE, fingerprint sensor on the rear. Backing the Redmi Note 3 is a 4000mAh battery with fast charging. The Xiaomi Redmi Note 3 is available in Champagne Gold, Dark Grey, and Silver, color variants. It will be up for an open sale on Mi.com on April 27 at 2PM. It’s not an open sale. It’s still a flash sale. They have clarified it many times on FB so please change the misleading title. I tried to buy 32GB in 1st 2 sale but didn’t succeed then all those drama,leeco 2 is coming on 3rd may I will go for that.